Sweden is routinely voted as one of the best places to live on earth. Maybe that’s why Sweden churns out some of the best hockey players in the world. Ever since the end of World War II, Sweden has found themselves among one of the better teams in the yearly World Hockey Championships. It wasn’t until the 1970’s though that Swedish players started to infiltrate North America. 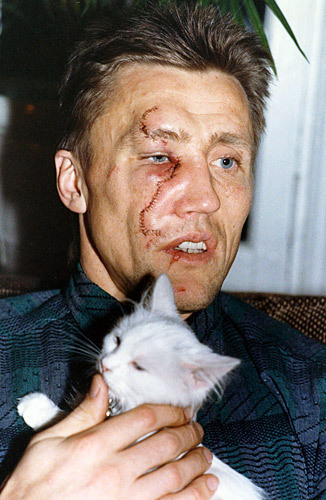 The likes of Borje Salming, Kent Nilsson and Mats Naslund were some of the first Swedish players to make an NHL impact. Even with their influence in the 1970’s, there weren’t many highly drafted Swedish players. With scouting primarily focused in North America, it was a while before we started to see Swedish players climb the draft ranks. It wasn’t until after the 2004-05 lockout that Swedish players became a common sight at the top of the draft. For the purpose of this article, I went back to the first NHL Entry Draft in 1979. I was originally only going to consider top-five selections, but there were some notable names picked at sixth overall that couldn’t be left out. Here are the highest drafted Swedish players of all time. It’s only right to kick off this list with the highest-drafted, highest-scoring Swedish player of all time. Mats Sundin is still the only Swede to go first overall in the NHL Entry Draft. Never mind that, he was the first European to be selected at first overall. 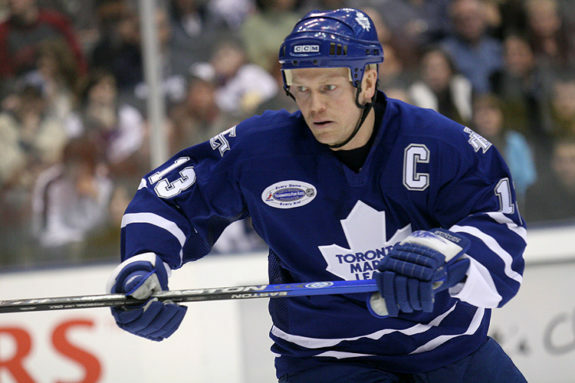 Sundin would ensure that he was worthy of the first overall selection, going on to become the fourth-highest scoring European of all time. He was a model of consistency, registering at least 70 points in every season from 1992-1993 to 2007-08. In the shortened 1994-95 lockout season, he still averaged exactly a point-per-game. Despite never winning a Stanley Cup, Sundin had many memorable moments throughout his career. He was a dominant number one centre with a strong all-around game. Despite the Toronto Maple Leafs’ lack of success since their last Stanley Cup win, Sundin led them through one of the more watchable periods in franchise history. It’s a shame that Peter Forsber’s career was cut short due to injuries, because he was one of the most talented (and perhaps underrated) hockey players of all time. After Forsberg was drafted by the Flyers in 1991, he was part of a trade to the Nordiques which brought Eric Lindros to Philadelphia. He went on to help lead the Colorado Avalanche to two Stanley Cups. Forsberg was one of the craftiest playmakers in NHL history. His point-per-game total of 1.25 is still the eighth best total all time. He was also one of a few players in NHL history to reunite with his old club, after leaving Colorado in 2005-06. The most iconic Vancouver Canucks are two of only five Swedes to be selected higher than fourth overall. After some draft day magic from then Canucks General Manager Brian Burke, the franchise walked away with two brothers who are still formidable players in the NHL today. After 17 seasons and a combined 2004 points between them, the Sedins have cemented their legacy as two of the greatest players to ever hit the ice. Their innate playmaking ability and chemistry between together is unrivaled. 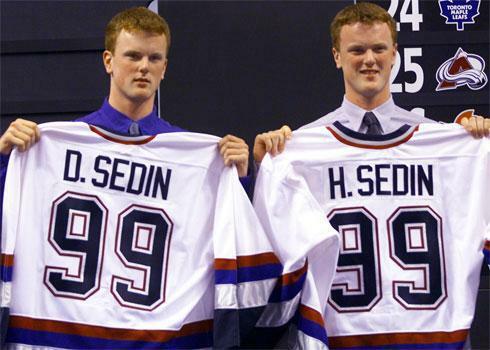 While other brothers have hit the ice in the NHL together before, there is no better duo than the Sedin twins. Even if some are ready to label another pair of young Canucks as the next great duo, those two have a long ways to go before ever reaching elite status. The Sedins each have an Art Ross Trophy to their name, helping the Canucks compete for the better part of a decade. We may never see another set of brothers dominate the NHL like this ever again. Enjoy it while it lasts, hockey fans. 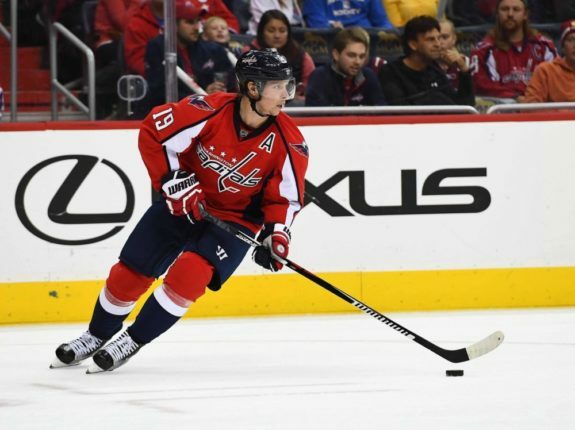 There was a seven-year gap until another Swede was drafted in the top six, but the Capitals grabbed a bonafide number one centre in Nicklas Backstrom. Backstrom created a lot of hype leading up to the draft. Most rookie players (especially draft eligible players) struggle to put up points in the SHL. Not only did Backstrom score in Sweden’s top hockey league, he led Brynas IF Gavle in scoring as a 17-year-old. One year after being drafted into the NHL, Backstrom was runner-up for the Calder Trophy with 69 points. Patrick Kane beat him out, but Backstrom has still gone on to carve out an excellent NHL career. He is fifth all-time among Swedish players with 0.99 points-per-game. Victor Hedman is yet another product of the MODO hockey factory to earn a lofty draft status. He remains the highest-drafted Swedish defenceman of all-time. Big defencemen usually take longer to develop, and that was the case with the second overall pick in 2009. He was rushed right into the NHL after his draft year and performed admirably, albeit in unspectacular fashion. There was steady progression in each of his NHL seasons but some were growing impatient. 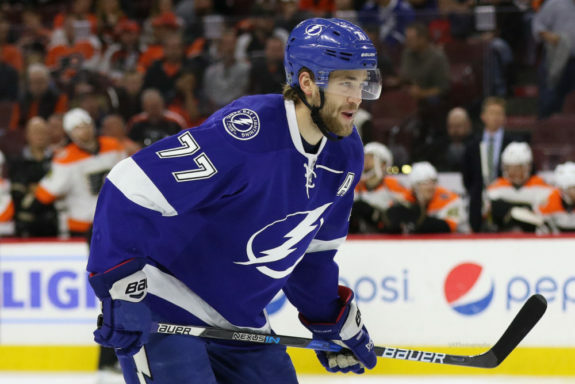 Now entering his ninth NHL season, there’s no doubts about Hedman’s place among the league’s elite defencemen. Hedman is an absolute force for the Tampa Bay Lightning on the blueline, finishing with a career-high 72 points in 2016-17. The top of the 2009 NHL draft produced two of the best defenceman in the league today. While Oliver Ekman-Larsson isn’t as dominant as Hedman, he’s still a bonafide number one NHL defenceman. The Arizona Coyotes found their franchise defenceman at 6th overall in this draft, four spots after Hedman was taken. The Avalanche (Matt Duchene), Atlanta Thrashers (Evander Kane) and Los Angeles Kings (Brayden Schenn) were the three teams to pass on the young Swedish phenom. Swedish defenceman were aplenty throughout the first round, but others such as David Runblad (17th overall) and Tim Erixon (23rd overall) failed to find the same NHL success. At the time, Ekman-Larsson was the highest drafted player to come from Allsvenskan (Swe-1). Ekman-Larsson’s success has paved the way for other players from Sweden’s second-best league to be selected early in the draft. He’s the only Swedish player on this list not to be drafted out of a Swedish league. In hindsight, it helped his draft stock when Gabriel Landeskog went second overall to the Avalanche. He was a dominant player for the Kitchener Rangers in the OHL, scoring at more than a point-per-game pace from the playoffs in his first season onwards. 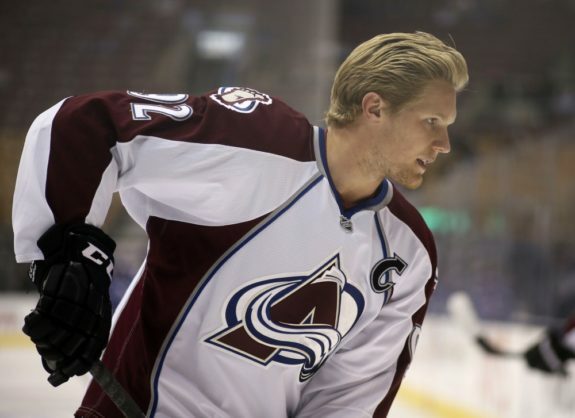 Landeskog quickly made the jump to the NHL, and subsequently won the Calder in his rookie season. He was also the the youngest captain in NHL history before Connor McDavid. Although he’s saw his play take a huge dip last season, Landeskog still has the tools to be an effective top-six NHL player, especially if he is surrounded with dynamic and compatible offensive talent. Higher draft picks are always scrutinized, and Adam Larsson has faced his fair share of criticism. After his moderately successful rookie season, Larsson struggled and spent the better part of two seasons in the AHL. Even when he cracked the big leagues full-time, his offensive inabilities sometime overshadowed his strong defensive game. Adam Larsson (left) showed what he was capable of in the 2016-17 playoffs. When he was traded straight up for Taylor Hall last season, there were mixed reactions around the league. The Edmonton Oilers weren’t getting the better player, but the player they needed. Luckily for the Oilers, Larsson had one of his best seasons in 2016-17. 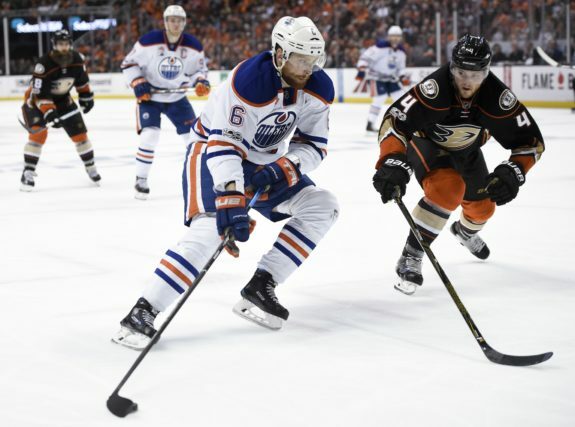 He played against top competition and allowed Oscar Klefbom to elevate his game offensively. Larsson saved his best for the playoffs, and looks like he could be a rock on Edmonton’s blueline for a long time. The 2011 draft was arguably the best in history for Swedes, at least at the top end. With the selections of Mika Zibanejad and Jonas Brodin (tenth overall), there were four Swedes selected with the first ten picks. 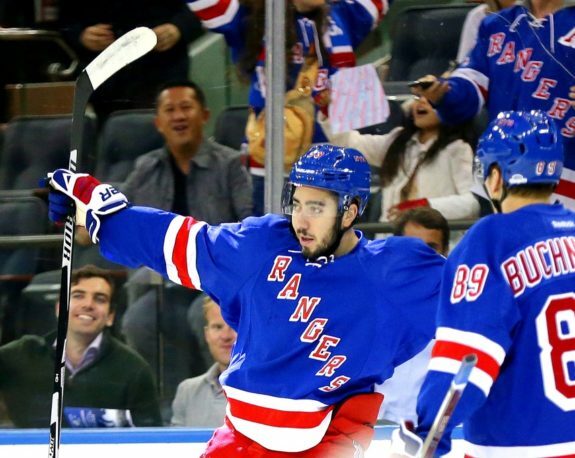 Center Mika Zibanejad is a key component of the Rangers’ forward depth. Zibanejad was the third of those Swedes selected, and he’s seen his career steadily improve with ever season. He was blossoming into a top-two centerman for the Ottawa Senators before he was traded to the New York Rangers in 2016. With his new team, he set a career-best in total points-per-game, chipping in another nine points in 12 playoff games. After signing a five-year, $5.3 million per season extension, Zibanejad is now a staple in the Rangers’ line-up moving forward. You will be hard-pressed to find a more complete defensive player than Hampus Lindholm. The sixth overall pick in the 2012 NHL Entry Draft is a rock on the blueline for the Anaheim Ducks. On an incredibly effective defensive unit, Lindholm might be the most impressive and consistent player. He won’t blow you away with offence, but Lindholm has shown that he isn’t solely a shutdown guy. He had another 20 points last year despite missing 14 games. Lindholm’s real value comes from breaking up plays in the offensive zone and moving the puck up the ice. In each of his first four NHL seasons, he’s had a positive even-strength Corsi percentage. He’s also had CF% relative above zero, indicating he’s better than his teammates on defence. With no relation to Hampus, Elias Lindholm became the next Swede to go within the top six of the NHL Entry Draft. Not sure how the Carolina Hurricanes feel about sixth-overall pick Sean Monahan vastly outperforming Lindholm, but the young Swede has still been a useful player. Like many top-five draft picks, Lindholm made the jump directly to the NHL. In four NHL seasons since then, he’s steadily seen his production increase. He had a career-high 45 points in 2016-17. Lindholm made his largest improvement at even-strength, where his primary points-per-game jumped from 0.69 in 2015-16 to 1.66 last season. That total trailed only Jeff Skinner. 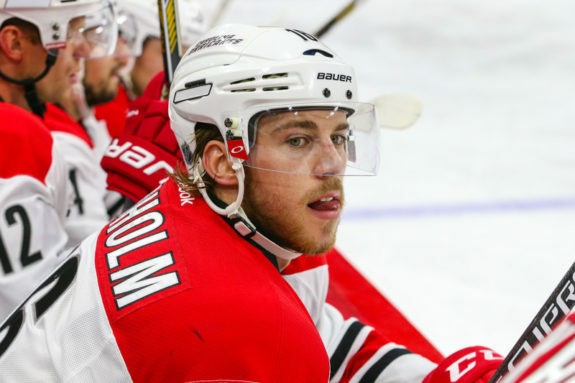 Lindholm may never blossom into the offensive superstar that Carolina needs, but he will be an important player for the organization moving forward. Although he’s yet to play an NHL game, Elias Pettersson already sits in elite company. 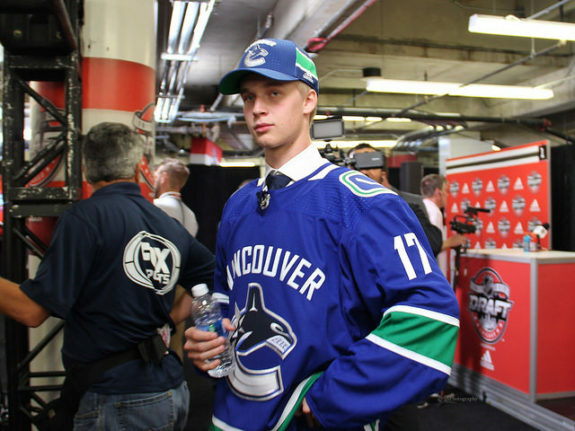 When Jim Benning stepped up to the microphone and drafted the lanky 17-year-old, he made him the highest-drafted forward ever from Allsvenskan. Pettersson possesses dazzling puck skills, and he was already one of the best playmakers in Allsvenskan last season. Both him and Canucks prospect Jonathan Dahlen led Timra in points by a wide margin. There was a good chance that Pettersson would have been named rookie of the year if it wasn’t for Dahlen snagging the honours. Despite his potential, Pettersson is a couple of years away from NHL action. The Canucks are hoping he’s worth the wait. Just by looking at the rest of this list, there’s a good chance that Pettersson could be in elite company by the end of his career.